Dismissal: What is fair and valid? 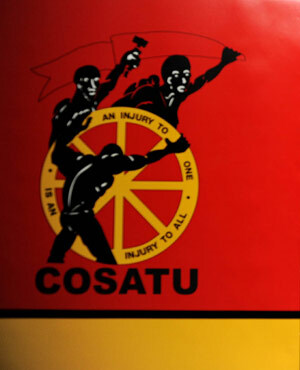 Johannesburg - Cosatu on Wednesday has welcomed the signing of the Labour Relations Amendment Act and said it would monitor the proper implementation of certain clauses. "Cosatu welcomes those provisions in the new act which seek to protect vulnerable workers, ensure fair labour practices, and improve the effectiveness of the Labour Court, the CCMA [Commission for Conciliation, Mediation, and Arbitration], the Essential Services Commission and the labour inspectorate," spokesperson Patrick Craven said in a statement. "The federation was not happy with every part of the new act, particularly its failure to completely ban labour brokers." On Sunday, the presidency announced that President Jacob Zuma had signed into law the Labour Relations Amendment Act. Spokesperson Mac Maharaj said the act sought to respond to the increased informalisation of labour to ensure that vulnerable groups received adequate protection and were employed in conditions of decent work. The act was also aimed at ensuring that labour legislation gave effect to fundamental constitutional rights, including the right to fair labour practices, to engage in collective bargaining, and the right to equality and protection from unfair discrimination. The Congress of SA Trade Unions had protested against a suggestion made by Labour Minister Mildred Oliphant that compulsory balloting of union members be introduced prior to a strike. This was originally included in the labour relations amendment bill, but the draft provision was withdrawn. "[Cosatu] believes that compulsory balloting would be used by employers to frustrate workers' rights to go on strike," Craven said. Cosatu's central executive committee last week resolved to "fight relentlessly against any proposal which undermines workers' constitutional right to strike, forces workers back to work or to dictate the method by which they obtain a strike mandate from their members".